'Focus Words' Promote a Healthy Work Environment All Year Long! Part of our mission at Custom Flag Company is providing an environment for employees to grow and ultimately make a difference in our community. One way we achieve employee growth is to include employees in our Goal Setting meeting each year. Our entire team gets together to reflect on the past year and look forward to the upcoming year. A big part of our planning session includes focusing on the culture at CFC. We have an activity where we look at our Core Values and determine a focus word for each month of the year (2016 values pictured below). Employees chooses a Core Value and is assigned a month. The employee is in charge of teaching the monthly focus word (core value) during one of our weekly staff meetings by providing a visual and definition. It is so cool to see what they bring to the table! Here are some of the core values we selected this year: Integrity, cultivate, trust, respect, joy, transparency, efficiency, communication, community, family, expanding comfort zone, growth, spirituality, health, and balance. Each employee also picks a personal focus word for the year. Some words that have been used are focus, thrive, and thankful. This year my focus word is ‘consistent’. This word speaks to me in my professional life as well as my personal life. Professionally, the word consistent encompasses customer service, marketing, social media, blogging, communication, inventory control, cash flow, vision, community involvement, and employee development. It is easy to work and invest time and energy for these things during our slow season and just as easy to drop during the busy flag flying season of the spring and summer months. Consistency is something I need to work on in my personal life as well. Consistent exercise. Consistent nutrition. Consistent sleep. Consistent communication. Consistent work-life balance. Etc. Etc. This exercise has many benefits. 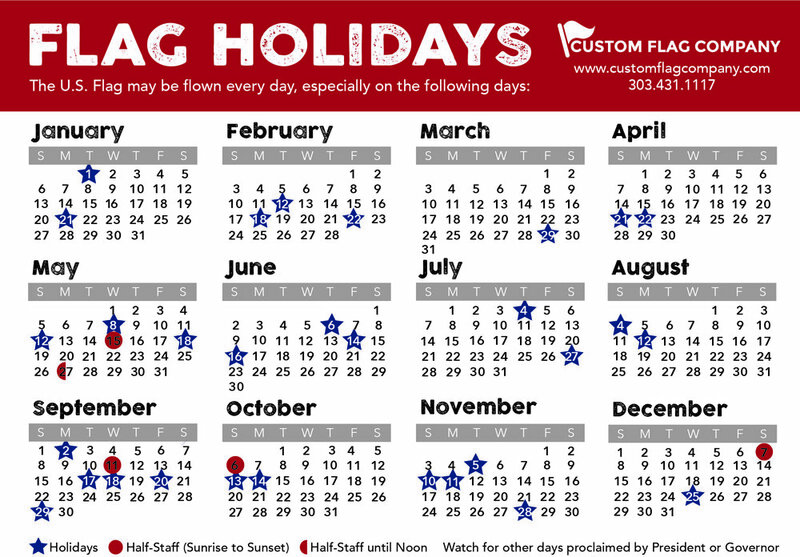 One of the benefits is everyone is reminded of Custom Flag Company’s Core Values. This reminder helps each of us when making day-to-day decisions, helps us as we communicate with co-workers/clients/vendors and ultimately makes our time at work enjoyable. We are more connected as we work harmoniously towards the same goals. I would love to hear what you do to promote a healthy work environment/culture. Posted on January 22, 2016 by Kim Griebling and tagged work culture work-life balance employee growth human resources consistency healthy work environment focus words monthly words.